DIRT ACTION 197 is a special edition that’s all about images. 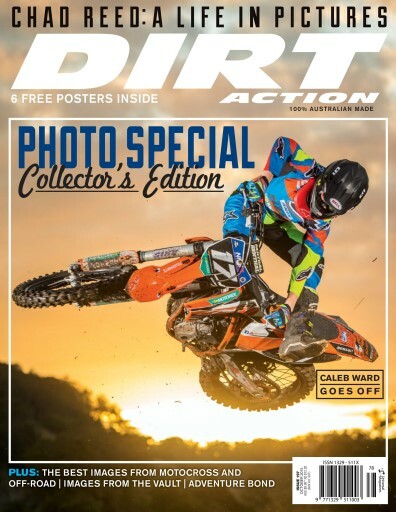 We’ve put together the best photographs from around Australia from motocross tracks, bush trails and adventure rides as well as an exclusive shoot with hot shot Caleb Ward. There’s a Chad Reed special in there to remind us all just how great Reedy is and we also take the helmet off a heap of riders so you get to know them all that much better.